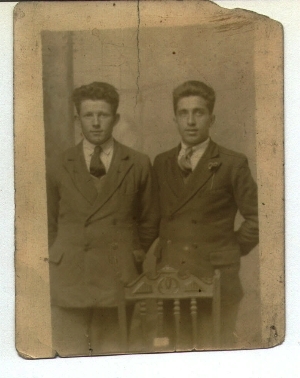 Old Photo of two men and a chair! This photograph is actually a postcard. There is no writing on it.